Nightingale reeds have medium tip openings, and are made to play comfortably with a moderate amount of resistance. They are recommended for intermediate to advanced student oboists. Tied on a Pisoni staple and tuned to A=440. 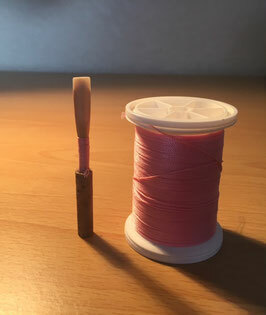 Reed thread varies by batch. All orders come with FREE SHIPPING via U.S. postal service. 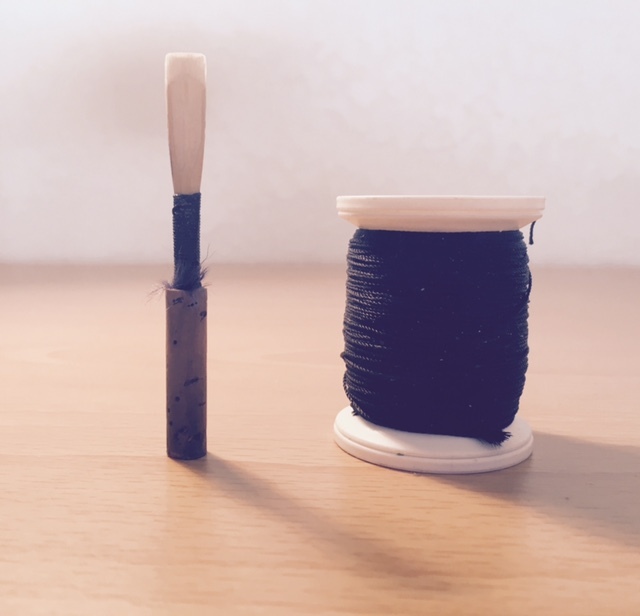 Fledgling reeds are tied on synthetic cork staples and are made to be easier to play than the Nightingale reed. They are made with the same high quality cane, but are scraped down further to accommodate oboists that do not yet have a strong embouchure. Suitable for beginner to intermediate oboists. 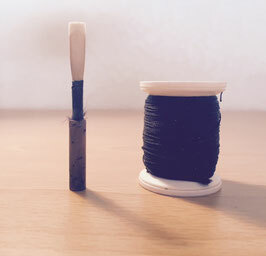 Thread color varies depending on the batch. 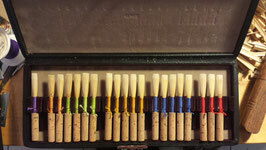 There's no more need to worry about having a good reed in your case when you order the subscription service! Now you can get 1, 2, 3, or 4 reeds delivered right to your doorstep at the beginning of every month.